CHITWAN, June 14: Everyone loves freedom. And elephants cannot be an exception to this instinct. This was apparent when four elephants that were chained for long where freed of the shackles by their owner on Wednesday here. "They looked elated. Of course, freedom is precious," noted managing director of Sapana Village Resort in Sauraha. "It certainly makes a difference when you can move around freely. More so, for wild animals," he added. Even though Giri always knew that the elephants yearned for freedom, it was not possible for him to fulfill their wish earlier. "Because of security and safety concerns, we were not able to liberate them of the chains earlier," he asserts. However, recently he gathered courage to liberate the elephants from the chains, thanks to the 'free elephant campaign' launched in Sauraha. The campaigners approached the resort in the first phase. After rounds of talks between the resort officials and wildlife conservationists, four elephants turned lucky to get their freedom from the chains. 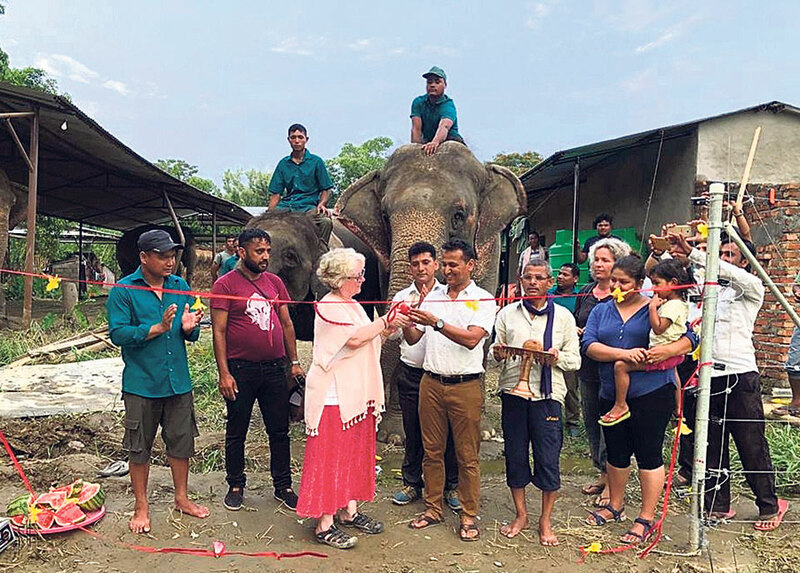 The campaign, headed by an American national Donna Marshal, aims to unchain all elephants owned by hotels and resorts in Sauraha. There are 65 such elephants kept by the business community. "It was spectacular to see the elephants unchained. Due to better security measures it has been possible," said Giri. An organization called Direct Aid Nepal has supported in the campaign. To ensure their freedom, as well as safety and security, the animal activists have erected electric fencing around the compound where the elephants live. By the time all the elephants are liberated from the shackles, the fencing boundary will be revised. "Electricity for the fence boundary is powered by solar panels that ensure round the clock power supply. Now with such a fence, we are assured that our elephants are safe," Giri said. Commenting on the need to free the elephants from chains, Marshal stated that elephants go crazy if their legs are tied with chain. "They are not meant to be treated that way. They deserve free movement," she said. According to her, elephants go through both physical and mental torture when they are chained. "We launched the campaign to relieve them from such agony," she noted. Conservationists have always argued that restrictions make wild animals restless. It affects their health. "When elephants are chained consistently, it makes them aggressive. It takes toll on their health," Marshal elaborated. This is the first ever-such campaign regarding privately reared elephants in Nepal. Marshal expressed hope that this will motivate wildlife conservationists and other stakeholders for taking similar initiatives in the future. "When they are left unchained and allowed to roam around freely in a natural environment, it's ecstatic. 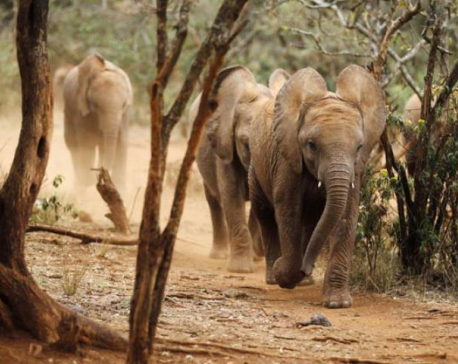 We believe that those elephants freed today have really felt different," she stated. The organization has invested Rs 1.5 million to build and fix fence around the resort for safety of the four elephants. 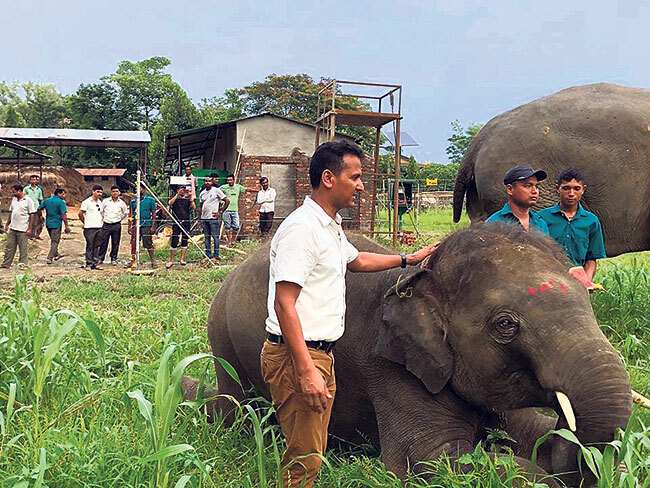 Prior to this, four years ago, elephants kept at security posts of Chitwan National Park were freed from chain. Proper fencing was ensured at the locations even that time. According to Giri, even though it is relatively convenient for national park to free animals and provide due security, it is not the same for private businesses.